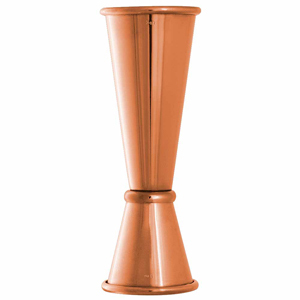 Complete your modern cocktail set with this Copper Ginza Jigger! Made from premium 18/8 Japanese stainless steel with a polished copper plating, this distinctive jigger offers style and durability. Designed for measuring spirits at 1oz or 2oz, this versatile Urban Bar jigger also has interior lines marking 0.5oz, 0.75oz and 1.5oz.